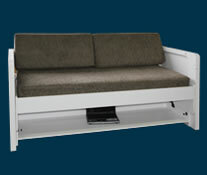 Ordering a Hiddenbed is easy, simply select your bed, any storage options and your choice of colour. Do you want a mattress? Units are available on request for the Wall Bed. Click and we can discuss your requirements. 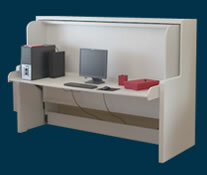 Top units can be fitted with or without the side units and fit snugly on top of Desk Bed. You must select a top unit to add side units. 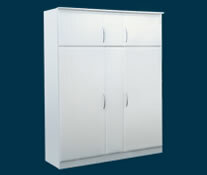 All side units require a top unit and cannot be purchased or constructed without one.